After receiving the necessary regulatory approvals, Apple has announced that the iPad mini and 4th-generation iPad will hit China on December 7, with the iPhone 5 launching a week later on December 14. Earlier in the week, the iPhone 5 passed its third and final network license in the country, having already received two of the required certifications in the weeks previous. With its new ‘network access license’ Apple finally had government and regulatory approval to sell the device in stores and via carriers, which will include China Telecom and China Unicom. China Telecom — the smallest of China’s major operators — began taking preorders for the smartphone on Sunday, notifying customers that it would “contact [them] immediately if the iPhone 5 hits our shelves,” while touting a December launch. It also appears the world’s biggest carrier — China Mobile — will not stock the new iPhone. Despite not operating the correct 3G frequencies to officially carry older versions of the iPhone, as of March, it still had 15 million iPhone users on its network. Apple confirmed during its quarterly earnings conference call that the iPhone 5 will be released in China by the end of the December and today it has followed up on that promise. All three devices will be available in its seven Apple Stores and at selected authorised resellers. Next Friday the device will go on sale alongside Apple’s updated iPad range, which includes the new iPad mini and the 4th generation iPad. 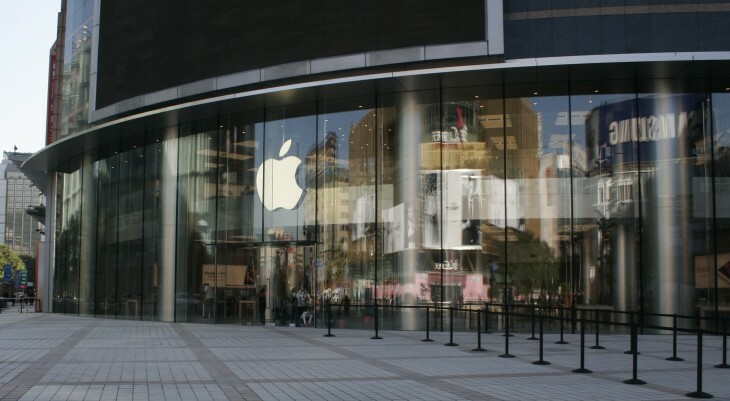 Apple is quiet on LTE connectivity, but with China still looking to roll out 4G connectivity, it could be a while until device owners get the chance to use more of the iPhone 5 and new iPad’s superfast connectivity.